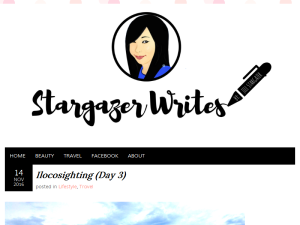 This what your Jill Stargazer Writes Blog Ad will look like to visitors! Of course you will want to use keywords and ad targeting to get the most out of your ad campaign! So purchase an ad space today before there all gone! A study by Booking.com revealed that 72% of American women travel solo. While this concept still raises a few eyebrows, particularly in more traditional societies, it’s gaining a momentum and becoming increasingly popular particularly in an attempt to liberate and empower women to achieve a higher level of freedom and be in control of their lives. Female solo travel is a life-changing experience and there are lots of benefits that ladies who decide to take a leap of faith and hit the road towards unfamiliar destinations enjoy. But such a great adventure shouldn’t be taken lightly as it needs to be planned in great detail. Here are a few tips on what to pay attention to. Before you make your decision about the itinerary, it’s essential to find as much information about the destination that you want to visit as possible. This way you can prepare yourself and be ready for any potential challenge along the way. It’s good to know what draws you to a particular city, region, or country and understand what your motivation is as that will allow you to experience your trip to the fullest. Many women were encouraged to take solo trips after reading “Eat, Pray, Love” or after watching “Wild”, and although these romanticized accounts do offer a certain insight into how solo travel can be a path to self-discovery, you still need to look for some more realistic sources of information. Travel guides and blogs can provide you with relevant and valuable first-hand experiences. Being confident and adventurous doesn’t mean exposing yourself to risky situations. Even the safest places aren’t completely free from dangers, so make sure that you play things safe and travel by day whenever it’s possible. It’s especially important to plan your solo trip so that you arrive at your destination during the day because it will be much easier and safer for you not to ramble unfamiliar streets at night. Don’t forget to make two backup copies of your documents – bring one with you and leave the other with your trusted contact. Keeping your passport and credit cards secure is of paramount importance, so be very careful when you’re in crowded places and don’t put all your money in a single stash. Use social media to keep in touch with your friends and family, and always tell them your whereabouts. It can be hard to pick only the essentials when you’re travelling solo, but if you want to be comfortable and truly relax, you need to learn to leave your excess baggage behind (pun intended). Check the weather forecast and pack mainly the items suitable for the climate of your chosen destination. Finding a local laundry service can also help you reduce the size of your luggage. Make a packing list as that will ensure that you won’t choose your clothes randomly and pack something only because there’s some more space in your suitcase. Don’t bring clothes and shoes for every possible occasion. Instead of that, pack multi-purpose, comfortable items that won’t take up too much room. No matter where you go, functional one piece swimwear is a must, as well as a pair of comfy jeans and sneakers. If you don’t want everybody to know that you’re a tourist, make sure that you don’t behave like one and be conspicuous about it. The best way to experience the lifestyle of the country you’re visiting is by dressing and behaving like the local people. Besides, this way you won’t stand out from the crowd and attract too much attention. Tourists, especially if they’re alone, are easily spotted and perceived as vulnerable. So, when in Rome, do as the Romans do. The same goes for the food and accommodation. There’s no point in travelling if you’re going to stay at bland international hotel chains. Local B&Bs and inns are perfect for immersing yourself in the local culture. Finally, such an approach also supports the local economy and ensures that the profits stay there. When carefully planned, your solo travel can be one of the best experiences of your whole life, and these tips will dispel your fears and help you get out of your comfort zone. If you grew up around the 90’s and the early 2000’s, then I am pretty sure you have encountered the Harry Potter book and film franchise. Oh yes, the story about those kids who waved wands and rode flying brooms in Hogwarts. If you’re a fan of the franchise, then you have to check out this shop. Buy Arigatō is a collectible shop that sells anime, game, movie, and character merchandise. It was established on December 25, 2015 and is owned by the lovely couple Gian Angelo Dakay and Ellen Marie Mañabo-Dakay. Recently, the store sells Harry Potter collectibles. They have socks, neckties, pendants, magic wands, key chains, and so much more. They are all a Potterhead must haves! So where are they located, you asked? They are located in Davao City, and Compostela Valley! They can be found in Cuber 2.0. It’s in Matina, fronting the Ateneo de Davao University. It’s open on 10:30am-6pm; Monday to Saturday only. They also sell their products on a store called Tindahan ni RonaMarie (TnRM), located inside a house in Green Valley Homes, Compostela, Compostela Valley. TnRM is owned and managed by Marie’s older’s sister, Sheila Marie Mañabo-Cabagting. You can reach her through 09208699618. If going out is not your thing, and you live nowhere nearby Davao City, don’t worry! They also take online orders via Shopee and Facebook! Even if you’re not into Harry Potter, they also cater other fandoms. Just send them a message, describe the item, even without a picture. They keep you guys covered. So what do you think about this store? Let me know below. For people who love to explore the world, it’s hard to find a travel organizer that is strong enough to endure the rough roads while providing optimum protection to your belongings at the same time. Well, I was sent of these pouches for me to provide my honest feedback. Chris Elfering founded BOND Travel Gear in order to address the travelers’ need for a reliable kit. After leaving the military, he then pursued traveling around the world. This means that he has witnessed how tough the world can be. He had made this as an inspiration to come up with handy travel pouches that can withstand extreme conditions. Its fabric is made up of 1000D ballistic nylon. It is the same stuff used in military uniforms. This guarantees that the materials used are very tough and damage-resistant. It is water-resistant too! Aside from the fabric, double-stitched YKK autolock zippers and stress points guarantee security on your stuff inside. You don’t need to worry about any accidental opening of the pouch once you have closed it. To top it all off, every purchased pouch is backed by a lifetime warranty! With dimensions of 4.7 in (12cm) x 8.9 in (22.5 cm) x 2.8 in (7 cm), it can hold your travel essentials while being portable enough to carry around. Personally, I’d like to stuff my toiletries and skin care products in this pouch because of the breathable mesh it has. Also, no space is wasted as you can slip your tools through the stretchable loops. I also like how it opens like a book. I can see everything right away in one look. It saves time and hassle looking for your items. Plus, it includes a Carabiner. The next time you wanted to take a swim, you can just hang it in a safe place! Just like the DASH Dopp Kit, it is made of 1000D ballistic nylon. The YKK autolock zippers and stress points are double-stitched. What made it different from the other pouch is that its elastics are silicone-backed (“No slip”), so your items inside won’t be all over the place. Its dimensions are 7 in (18 cm) x 8.7 in (22 cm) x 1.2 in (3 cm) so it is ideal as your flight “survival kit”. You can store your passport, your phone and its accessories, as well as your plane tickets. And yes, this is also backed by their lifetime guarantee! I will surely be using them every day because I won’t be worrying that they will get ruined by all the stresses I cast on them. If it happens that they give up, I can pull out the lifetime warranty card! What do you think of that? Comment down below. If you’re into strawberries and happened to be cruising along the Bukidnon-Davao road, then you might want to drop by Bemwa Farm. It is highly suggested that you have a private car if you want to reach the farm. There is no sign put up along the road pointing to the place. From Davao City, drive along the Bukidnon-Davao road. Once you’ve seen the Philippine Eagle Monument, you’re almost there. Pay attention on the right side. Once you see a sign saying Garden of Gethsemane Mountain Resort, that’s your cue to turn right. If you’re not sure which way to choose, the locals are nice enough to direct you to the right path. Once you arrive, you’ll have to pay 50 PHP/1 USD per head. The fee is also consumable. You’ll be given a ticket which you can use if you want to purchase something like food, drinks or plants. Then you’ll meet a lot of vegetable patches. The area is also adorned with beautiful ornamental plants. If you’re early, you’ll be able to experience strawberry picking. They say people pick as early as 5 am. Unfortunately for us, we left empty handed. Bemwa sells ornamental plants, herbs, fruits, vegetables and jams. You can also buy refreshments like strawberry taho. I got lychee lemonade and binignit. Binignit is a Visayan dessert made of glutinous rice, root crops, coconut cream and fruits. -Be early for the strawberry picking. -Go there with a private vehicle. -Bring a jacket to keep you warm. Overall, I had fun during my stay. There’s not much you can do around so it’s better if this destination is just an extra in your list. I’d like to know if you had been to a farm. What is it like? Let me know by commenting below. Have you ever thought of escaping the busy city life and taking refuge in a house close to nature? You know, where trees are abundant, birds are chirping, the sound of the gushing river is music to the ears. Well, this place might be for you. Buda Vista Vacation House is located along BUDA (Bukidnon-Davao) Road in the southern part of the Philippines. To get there, you can rent a van with friends and drive along the Bukidnon-Davao road. You could also go to the Davao City Overland Transport Terminal and ride the bus bound for Cagayan for 90 PHP or 2 USD. The trip runs for approximately 3 hours. It stands as a 3-storey vacation house. The house is mainly made of wood complemented with huge glasses which completes its modern architecture with a touch of country feel. The owners haven’t used the house for a while so they have it rented to travelers. They have caretakers that welcome guests and make sure that their needs are being attended to. A parking area is also available. It looks like 3 cars can fit in it. At first, it just looks like it is made up of 2 floors. Because it is located on a slope, you’ll find another floor when you go around. Upon entering the front porch, you’ll be greeted with a beautiful living area. It has a huge sofa set adjacent to the mini balcony, overlooking beautiful mountains, and another sofa set made of wood, facing the TV. They have cable, so don’t worry about missing your shows! On this floor, you can also find separate rooms for toilet and shower. A small room for sleeping can be found here as well. Upstairs is the attic. It is being divided by curtains in two – one for a sleeping quarter and another one for an oriental-themed coffee area. Huge windows were installed, so you can view the lovely scene outside. You can also get a good view of the neighboring resort which is also beautiful. The ground floor is composed of the entertainment and dining areas. They have a pool table and karaoke. Outside, you can find a dirty kitchen where you can grill your favorite steak. Another set of toilet and shower room with heater can be accessed in this area. They also have a microwave and microwave-friendly utensils. There is also a viewing deck where you can hang out with friends while looking at the beautiful nature around you. If you go down further, you’ll find their infinity pool surrounded with beautiful plants. The house is also adorned with beautiful ornaments. Pack up a nice sweater to keep you warm. Mountains can be very cold. Bring insect repellents. Nature has uninvited guests. I’d like to hear about your latest trip as well. Comment them down below. I’d like to thank my friend, April and her family for inviting me to join them in their trip. If you are the owner of Jill Stargazer Writes, or someone who enjoys this blog why not upgrade it to a Featured Listing or Permanent Listing?